Covering 900 kms and traveling approximately 10 hours right from Brisbane to Sydney can be quite tiring and stressful as it is. If you are traversing this distance and have belongings to move the task can become more complex. The cost of the removal is another aspect you need to keep in view at all times and it’s why you shop around looking for cheap removalists. We at Fast Removalists recognize this need and provide excellent, backloading Brisbane to Sydney services. The option is perfect for clients that want to move a very limited number of items from Brisbane to Sydney. This is a unique service that is specifically built to provide customers value for money. You only pay for the amount of truck space you book which means the interstate removals cost for the entire truck is divided over the number of people using it to transport their belongings. Regular removals involve hiring an entire team of packers, a furniture removalist, and interstate removalists. It also means you end up booking an entire truck regardless of the number of items you need to move. While a full truck booking is perfect when you want to move an entire apartment or house, if you want to just transport a few things or just a couple of pieces of large furniture etc. you will just end up paying a larger amount of money for a fewer number of items, which significantly increases the cost of the move for you. Our backloading option becomes the perfect solution in situations like these. Backload removalist Brisbane to Sydney – the smart choice- When our trucks transport cargo from Sydney to Brisbane, the vehicle still needs to go back to the former city. While we can hire our truck out to customers that need a full-service removal, we have noticed that many customers need to transport only a few things. It is for the benefit of these customers that we started this service and it has become one of the most convenient and affordable removals options for many of our clients today. 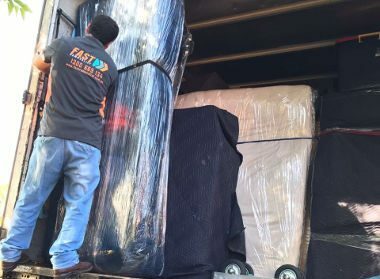 If you want to move just a few pieces of furniture or any other items to Sydney, all you have to do is call us and we will provide you the backloading solutions you need. 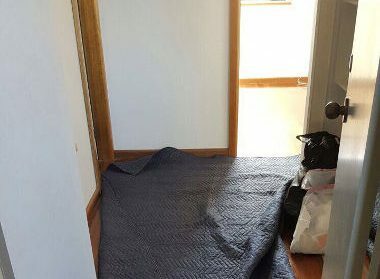 Our interstate removals experts will provide you all the information you need about this service and how it works and you can book the amount of truck space you want for the items you need to transport to Sydney. Cheap backload removalist – We have always provided excellent full-service removals and our backloading services are no different. As mentioned earlier, these services are light in the pocket and perfect for moving fewer items across state lines. If you are looking for cheap interstate removalists we are the company to come to. Backload removalist Brisbane to Sydney – an environment-friendly solution- Whenever anyone transports cargo from one city to another and hires a truck, they are adding one more vehicle to the road. While that solution is best when you have a truck-full of belongings to move, its nothing more than a waste of resources when you hire an entire truck to transport only a few things. Too many trucks plying the roads translate to more pollution and higher emission levels which are harmful to the environment. But when you opt for our backloading services you do your bit for the environment by sharing the truck space with other clients, thus reducing the number of vehicles on the roads. Its little surprise then that many people are now opting for backloading removalists’services. Not only are backloaded removalist Brisbane to Sydney services cost-effective, but they are reliable and efficient too. Our team ensures that all your cargo is transported very safely to the destination. 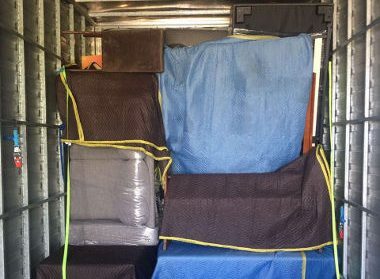 We are a highly experienced backloading interstate removalists Brisbane to Sydney company and have the skills, knowledge, licensing and the resources to ensure all your belongings are transported across this distance securely and safely. Our trained removalists and furniture removalist will ensure that all the items are segregated client-wise, packed and secured in the truck well. 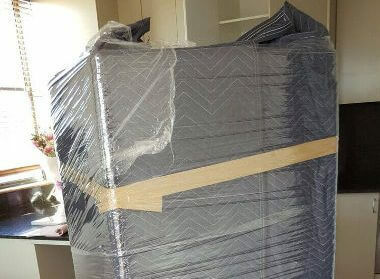 If you are looking for professional furniture removalist solutions and need to transport only one or two large pieces of furniture, we handle those jobs too.We have a regular flow of clients that ask for our backload furniture removals’ solutions. This is a highly specialized job because many furniture pieces can be large and unwieldy. But our furniture removalist team is well-equipped to handle even the most complex jobs expertly. 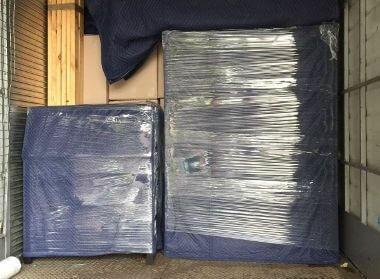 We use the latest packing materials and techniques and make sure your furniture pieces are transported securely and safely. We are a fully-licensed and insured backloading moving company and know all the processes that are to be followed while transporting goods across state lines. Our removalists’insurance cover helps ensure that you are appropriately compensated in the event that any of your items become damaged or lost. Not only are we focused on customer service, but want to make sure that you get value for money as well. This is why when you call us for backloading quotes, you will find that our interstate moving cost is very low. For an estimate of how much you would have to pay for our backloading removals services, you also have the option to use our interstate moving cost calculator. 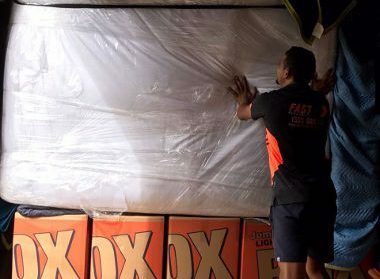 No matter which way you look at it, we are the backloading removalists that go the extra mile to provide our customers the kind of backloading Brisbane to Sydney services they need. For high-quality moving services at very reasonable cost, call Fast Removalists today.